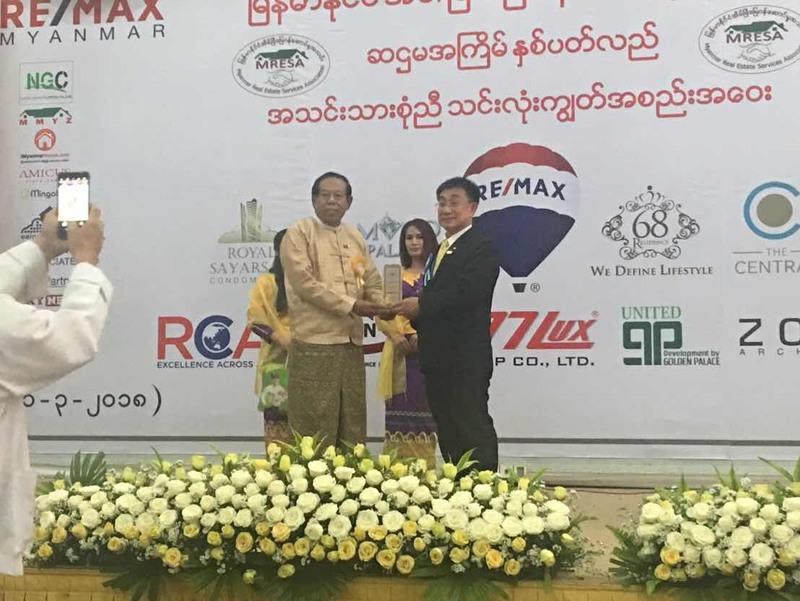 On March 31, 2018, Dr.Sopon Pornchokchai, President, Agency for Real Estate Affairs who is also a board member of the ASEAN Real Estate Network Alliance (ARENA) and President of FIABCI Thailand was invited by Chairman K. M. Than of the Myanmar Real Estate Services Association to speak about real estate markets in Thailand for its 500 members in Yangon, Myanmar. 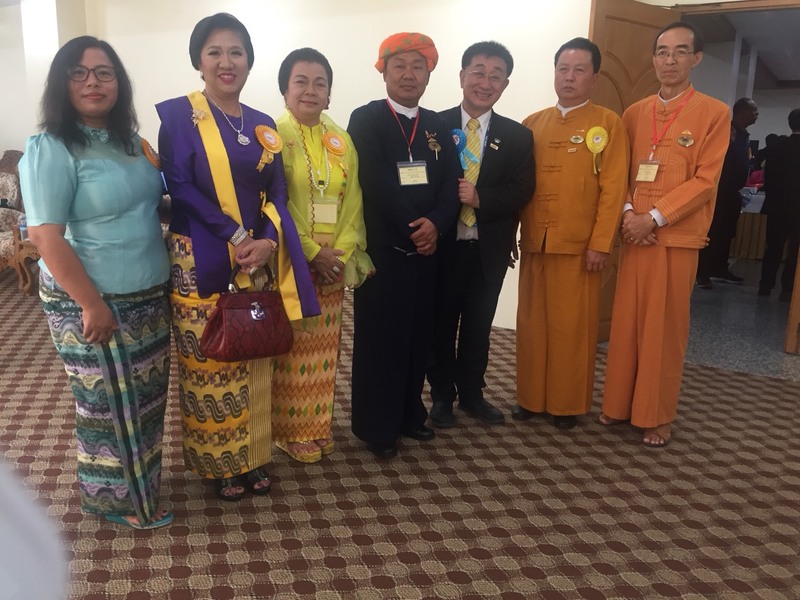 This is a very successful event in Myanmar. 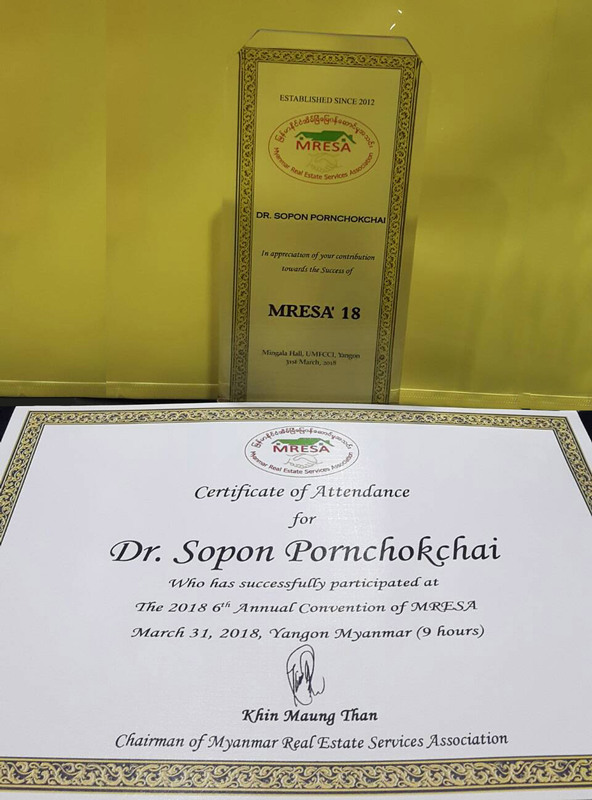 MRESA has around 5,000 membrers. Whereas, 95% of them are brokers. The rest 5% are developers. 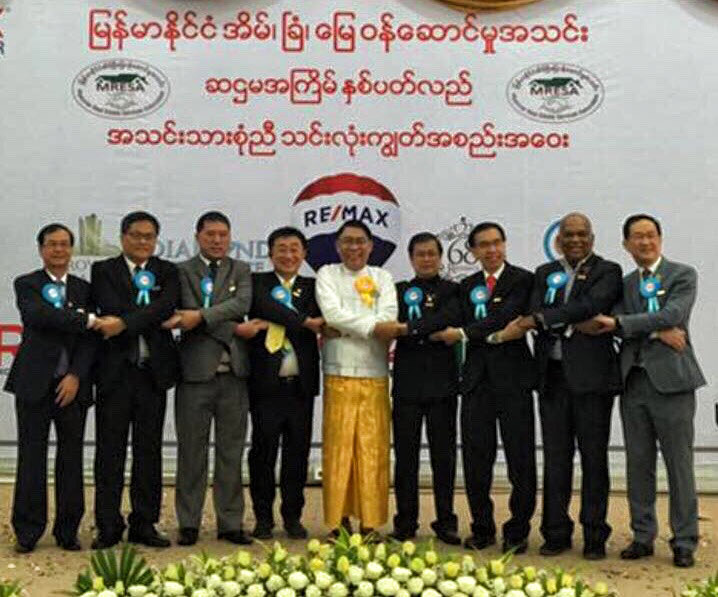 For the brokers, around half of them are full time brokers and another half are part time or occasional brokers with other business such as land sub-dividers, builders, and other business. 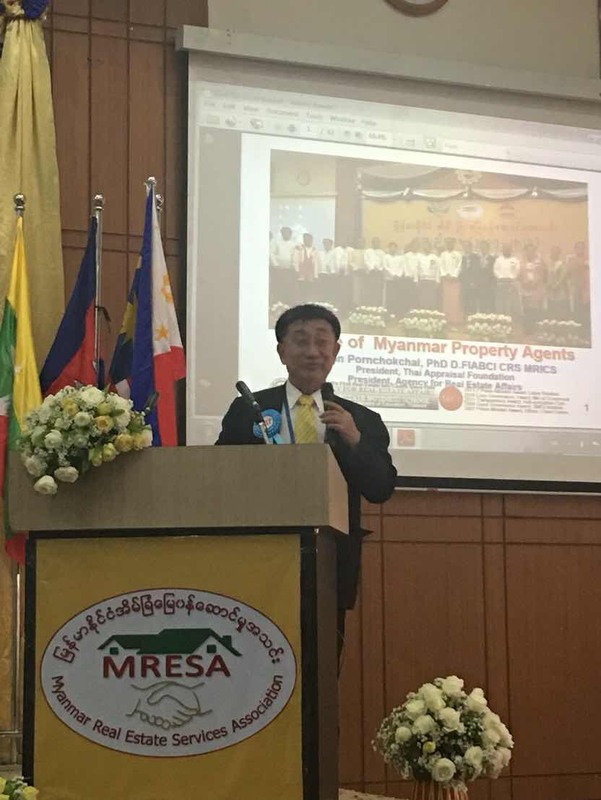 MRESA is the largest brokers association in Myanmar.